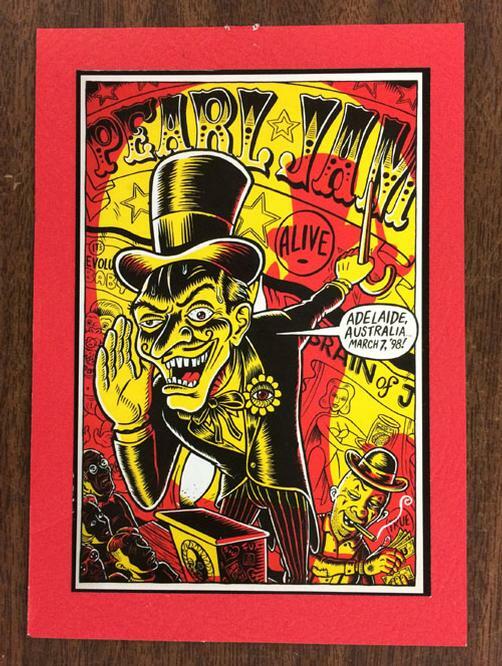 Original concert handbill for Pearl Jam at The Thebarton Thearte in Adelaide, Australia in 1998. Mounted on mat board. 5 x 7 inches. Light handling marks. Artwork by Ward Sutton.